Location: Cuyamaca Rancho State Park, inland San Diego County. From San Diego, take I-8 east to Highway 79. Head north on Highway 79 for 1.3 miles to Riverside Drive. Bear left on Riverside Drive and follow it a total of 1.5 miles (along the way it becomes Viejas Blvd.) to the signed Merigan Day Use Area for Cuyamaca Rancho State Park, on the left side of the road. 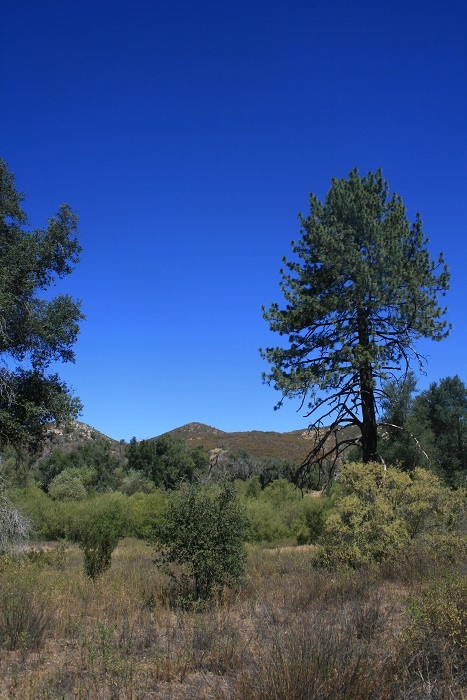 From Julian, take Highway 79 south for 20 miles, past the main entrances to Cuyamaca Rancho State Park and turn right on Viejas Blvd. 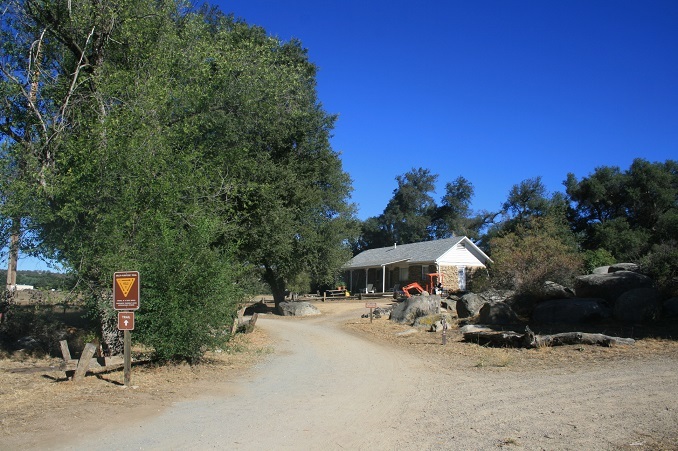 The trail head is on the right side of the road in 1.1 miles. Parking is $8 per day (checks or exact change accepted). 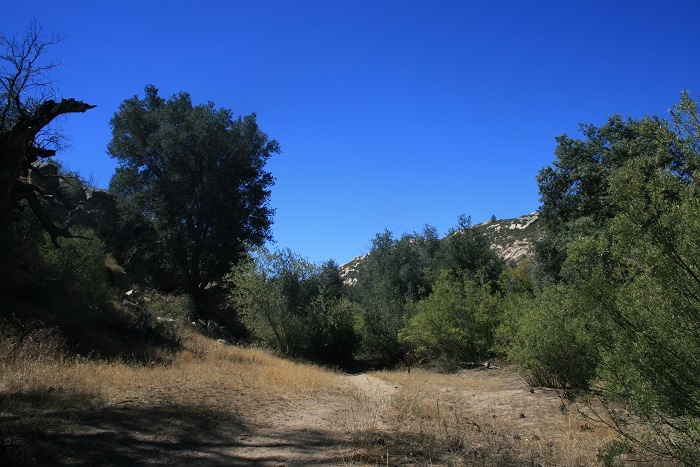 This balloon-shaped hike explores the lower country in the southern end of Cuyamaca Rancho State Park. 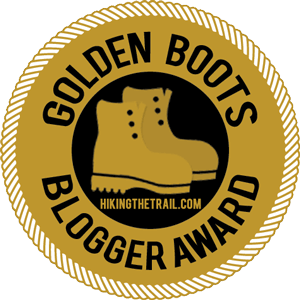 You’re still between 3,400 and 4,100 feet above sea level and while much of the route is exposed, with an early start, it can easily be done even on warm days. 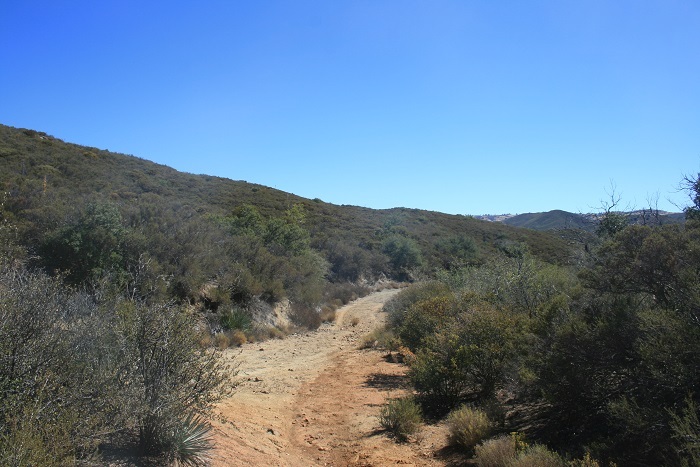 This hike doesn’t have quite the scenic variety of panoramic views that can be found in the park’s higher terrain, but it does offer a nice sense of isolation less than an hour’s drive from San Diego and about two hours from Orange County. 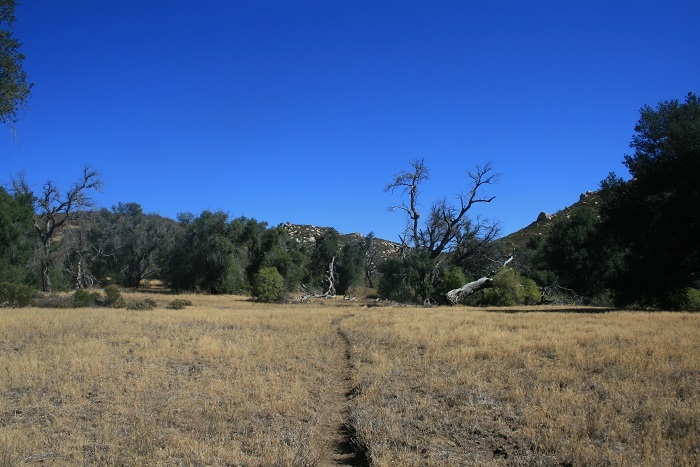 From the parking lot, follow the Merigan Fire Road north through a field and into the shallow canyon of the Sweetwater River (which may be just a trickle or completely dry depending on the time of year and amount of rainfall). 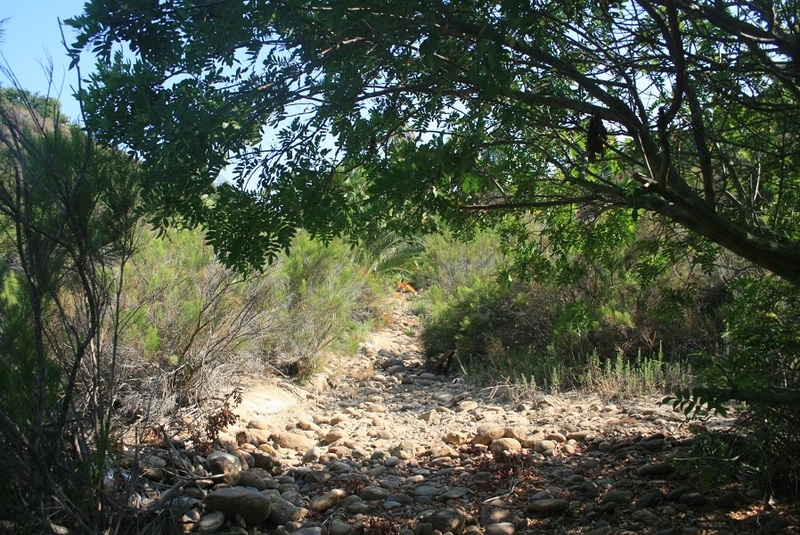 At 0.7 miles, pass a junction with the Dead Horse Trail and continue north, eventually entering a pleasant oak woodland. 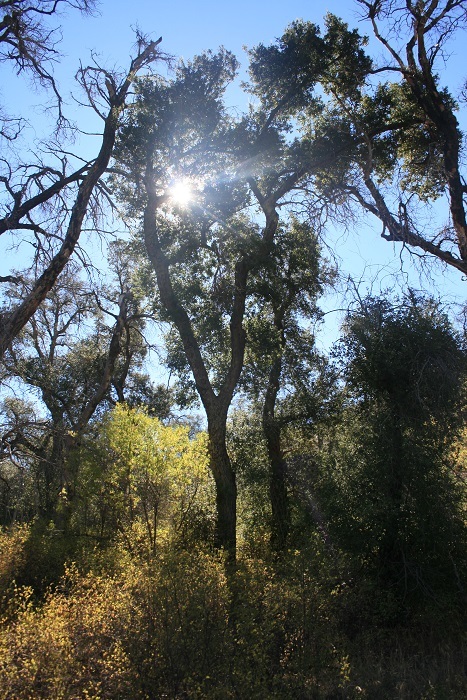 At about two miles from the start, you reach a four-way junction in a pleasant meadow, where a tall pine stands above the oaks and chaparral shrubs. The Merigan Fire Road bends right. The Sweetwater Trail, straight ahead of you, is your return route. Turn left and follow the Saddleback Trail, a single-track, down to the river. 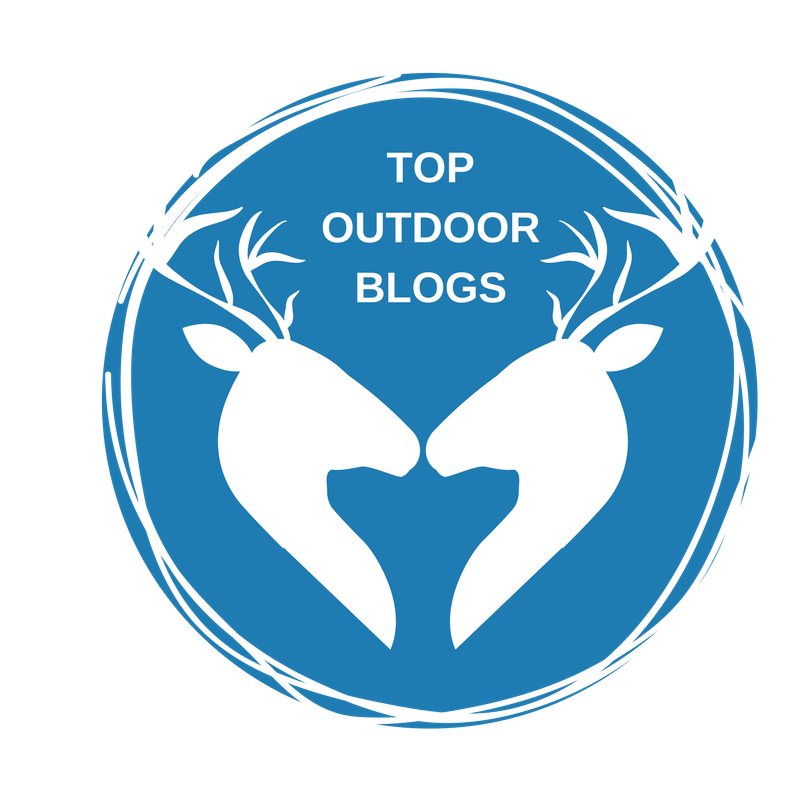 (The loop can be done in either direction but by hiking clockwise, you have a more pleasant ascent). The Saddleback Trail is overgrown in spots but never too difficult to follow. 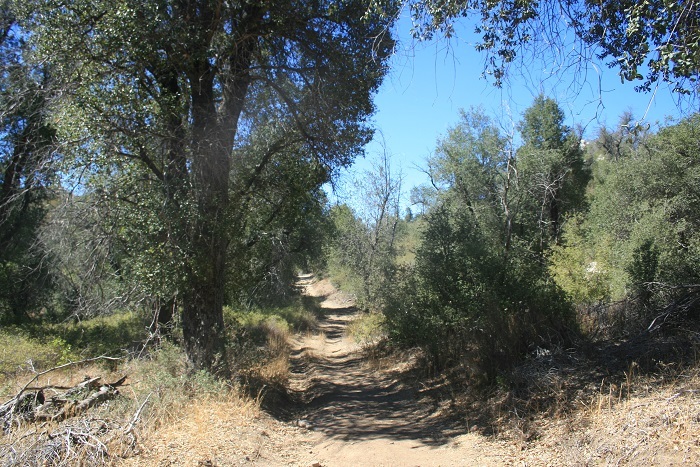 It climbs steadily through the riparian habitat of the river, through some oak-dotted fields and finally gains the top of a ridge, where it meets the California Riding & Hiking Trail (3.6 miles.) 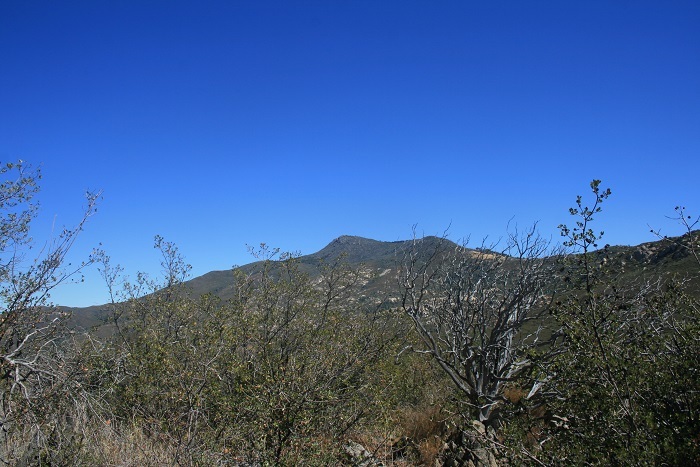 Here, you get the best views of the hike, notably imposing Cuyamaca Peak to the north and Oakzanita Peak to the east. Turn right and follow the CR&H Trail. In addition to the views of the summits, if the air is clear, you may be able to get a glimpse of the ocean in the distance. At 4 miles from the start, you reach a junction with the South Boundary Fire Road. Bear right and begin a steep descent back into canyon. 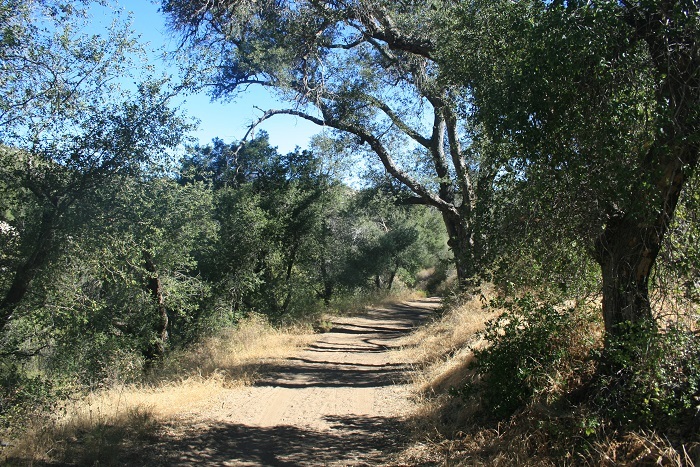 At 4.4 miles from the start, turn right to continue following the South Boundary Fire Road down the canyon, under the shade of oaks. 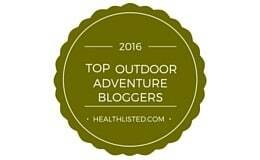 After crossing the headwaters of the Sweetwater River, turn right on the Sweetwater Trail (4.7 miles). The Sweetwater Trail head south, paralleling the river bed, for just over a mile. At 5.7 miles from the start, you return to the four-way junction, completing the loop. Retrace your steps on the Merigan Fire Road back to the parking lot.